The older you get, the harder it becomes to make new friends. Maybe it’s due to our busy lives and prioritizing other things that rank as being more important to us. But we’re social creatures. If you want to live a balanced life, you need to find positive people to surround yourself. Here are five simple things that everyone can do to make new friends. Being a part of a club, whether it be related to sports or books, is one of the easiest ways to start new friendships. In many cases, the other people are there for the same reason as you! With sports, make sure you find a team that puts the enjoyment factor of sports over the competitive side, otherwise, there’s limited room for fun encounters and memories. 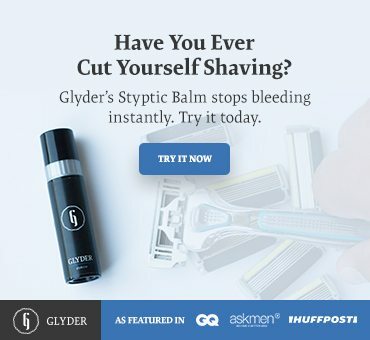 FREE DIGITAL BOOK FROM GLYDER: 7 Home Remedies That Stop Bleeding From Shaving Cuts. Download Your Copy Now. Volunteer work is an amazing way to bond with others. Often times, you’ll all be working towards a specific goal, in which case, teamwork becomes a normal occurrence. The working environment makes it super easy to strike up a conversation with someone new. On the surface, this sounds like a scary thing to do, but chatter can flow naturally no matter where you are – It can be on the bus or in a shop! If you come in with a positive energy, you’ll be surprised by how easily people can open up. Whilst the chances of gaining a life-long friend this way are slim, it still improves your social skills and gets you meeting new faces. There are tons of websites available which can help you establish connections with groups of people before ever having to meet them face-to-face. This is a great option for adults who are a little more introverted and need some time to get to know the person before being thrown into a social situation. If you’re the kind of person who hits the drive-through instead of going in for fast-food (don’t we all), try going inside and ordering the food instead. You never know who you could bump into, even if it’s someone you don’t know too well. Making the extra effort each day to purposefully put yourself in situations where there’s a better chance of seeing and talking to new strangers will work wonders. Whilst taking on board these pointers, ensure that things progress naturally. When speaking to a stranger, always end the conversation with who you are. They’ll then do the same and then, boom! You’ve related to them on a more personal level. Now get out there!